Make the starting point for your golf holiday one of the Major Championships or a leading event on the European Tour or PGA TOUR and already a unique trip is in store. Our tournament experiences do just that, putting you in position to watch the action at your bucket list professional event, and that's merely the start. Each of our itineraries begins with travel arrangements (ground and/or air) and handpicked accommodation, before official tournament tickets are added. 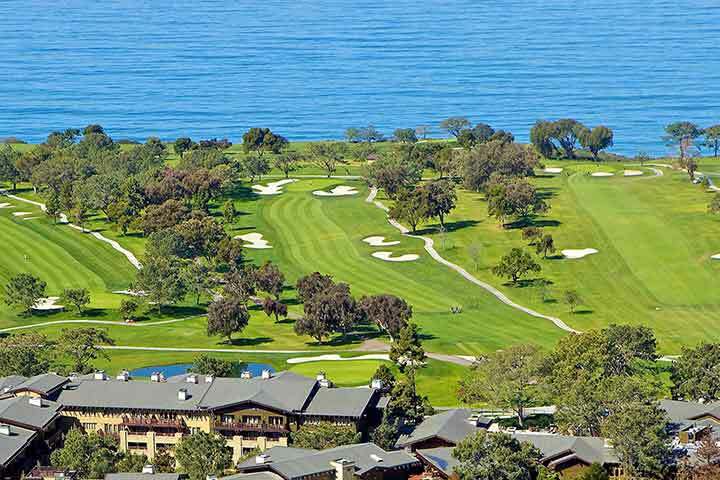 Optional, or on occasion built into the trip, are hospitality, golf at local courses or exclusive extras like inside-the-ropes access, tee times on the tournament course after the event or even a place to play in the Pro-Am. With our dedicated team of experts to advise, guide and plan your dream holiday, there’s no need to lose sleep. 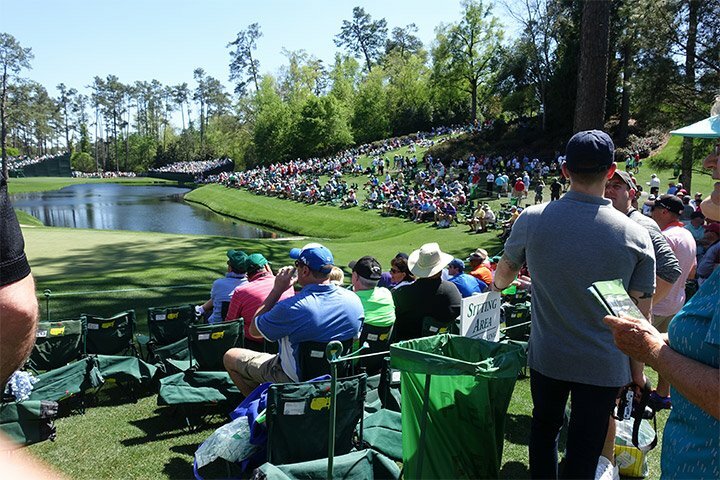 While the majors are without doubt the most prestigious tournaments of the golfing calendar, there is one event that rolls around every two years which is without doubt golf's greatest showpiece. 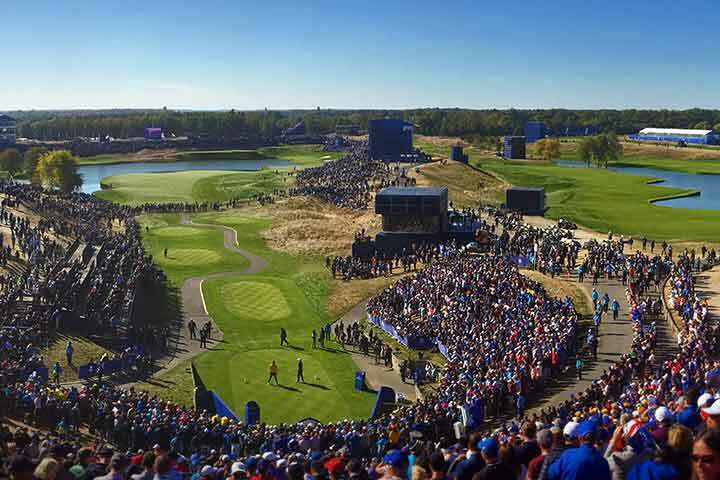 The Ryder Cup sees the best players from the USA face off against the cream of the golfing crop in Europe over three days of intense, patriotic matchplay contests. The event culminates on Singles Sunday which often produces fireworks and sporting drama few other events in world sport can muster. The Miracle at Medinah in 2012 for example, might just be the most captivating sports event in history. 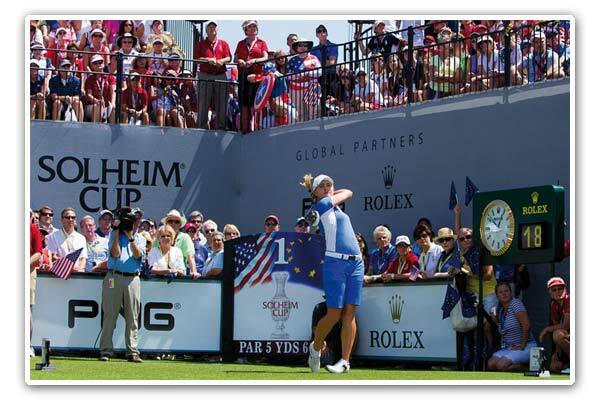 The Solheim Cup is a biennial tournament contested by teams of 12 players from Europe and the United States. The 2019 event will be the 16th match and of the 15 matches contested, the United States have won 10 and Europe have won 5. The inaugural Solheim Cup was staged in 1990 and the golf club manufacturer Karsten Solheim was instrumental in its introduction hence why it is called the Solheim Cup. The European Tour is the stage for the best golfing professionals from outside of the USA to showcase their skills on some of the best golf courses the world has to offer. 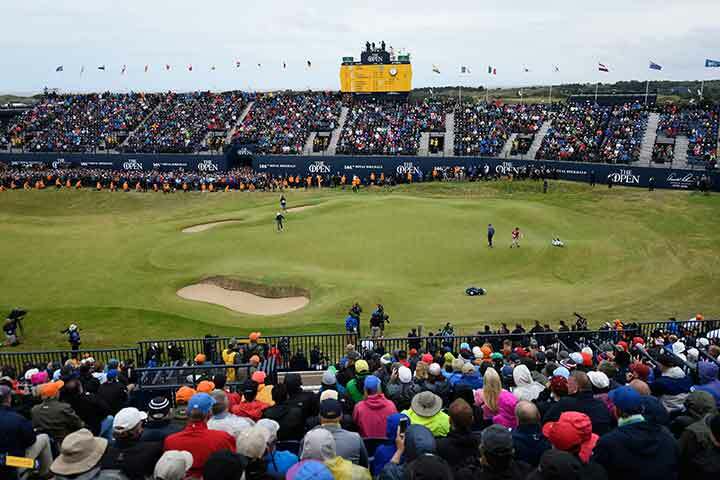 While the majority of the most lucrative events are held in Western Europe, the tour has expanded in recent years and now brings the game of golf to all four corners of the globe with tournaments taking place in exotic locations including the likes of Africa, Asia and The Middle East. Based primarily in the USA – tournaments also make their way to places such as Canada and the Caribbean too – the PGA Tour is where the majority of the world's very best players ply their trade. Iconic courses such as Sawgrass, Pebble Beach and the Blue Monster at Doral host famous names such as Tiger Woods, Phil Mickelson and Rory McIlroy who come in search of golf's biggest prize funds. The record attendance at a PGA Tour event for one day was 201,000 Spectators on the third round saturday of the 2016 Waste Management Phoenix Open. The Players Championship has the biggest prize fund in golf; $10 million. The 16th hole at TPC Scottsdale, home of the Waste Management Phoenix Open has a capacity of 20,000 spectators including 23 skyboxes! The European Tour visited 26 Countries across 4 Continents in 2015. 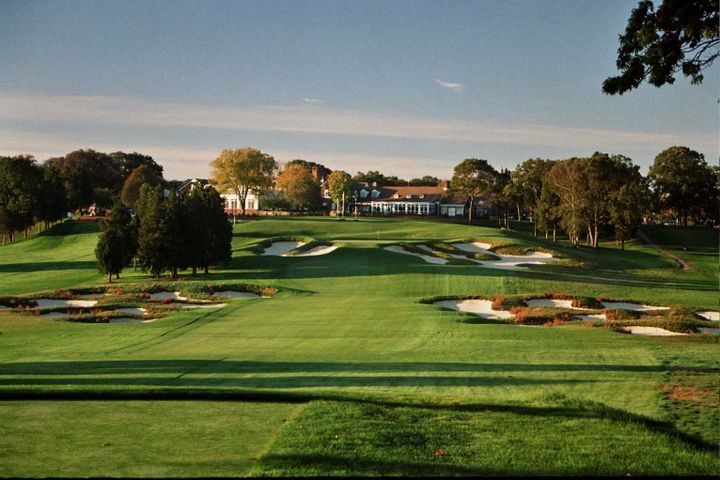 Make the most out of your tournament experience and include some local golf in the area. We are able to offer great deals at courses close by to European and PGA Tour Venues. Why not upgrade your holiday? Create bespoke holidays to include additional rounds of golf in the area.